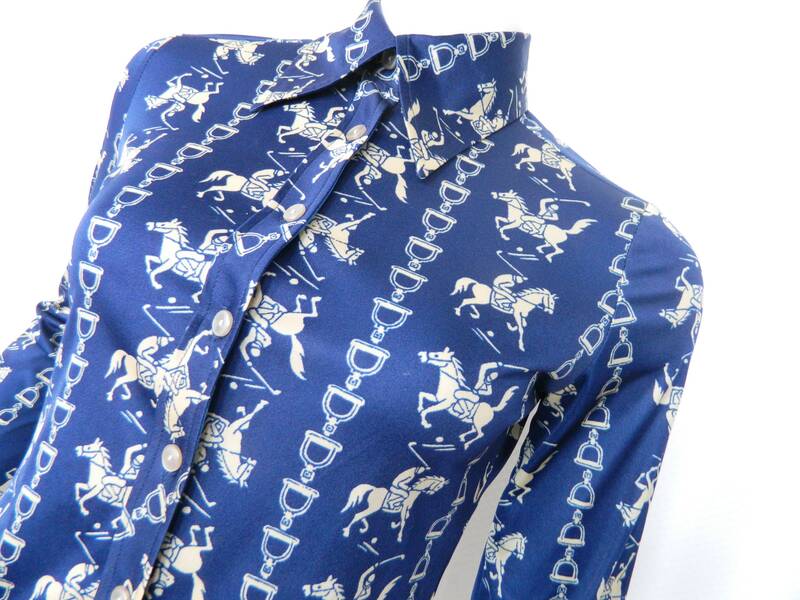 Great fancy blouse patterned with polo players and horses. 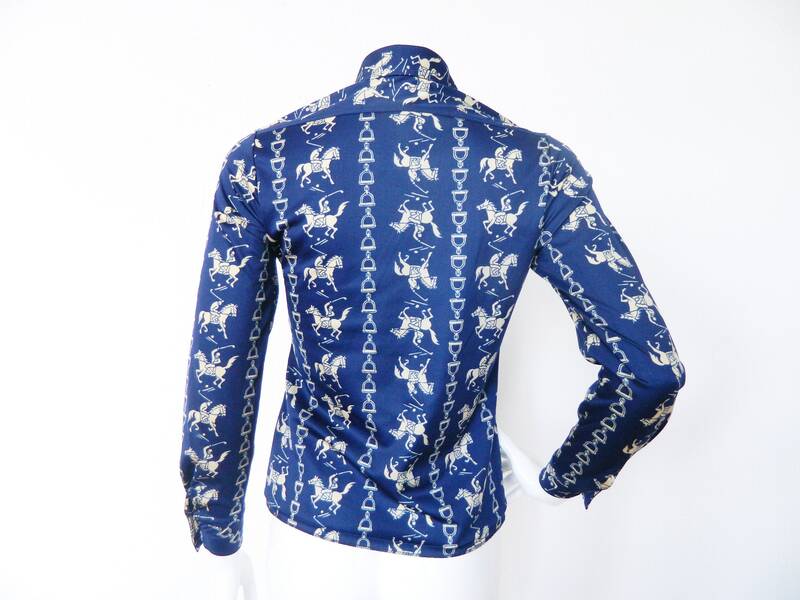 The blouse is cut to figure. Good vintage condition. 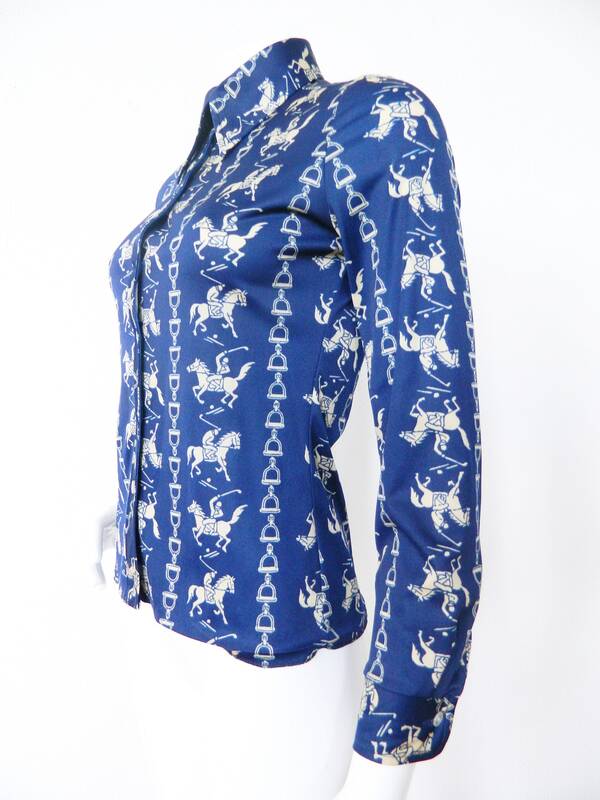 Special blouse patterned with polo player and horses. 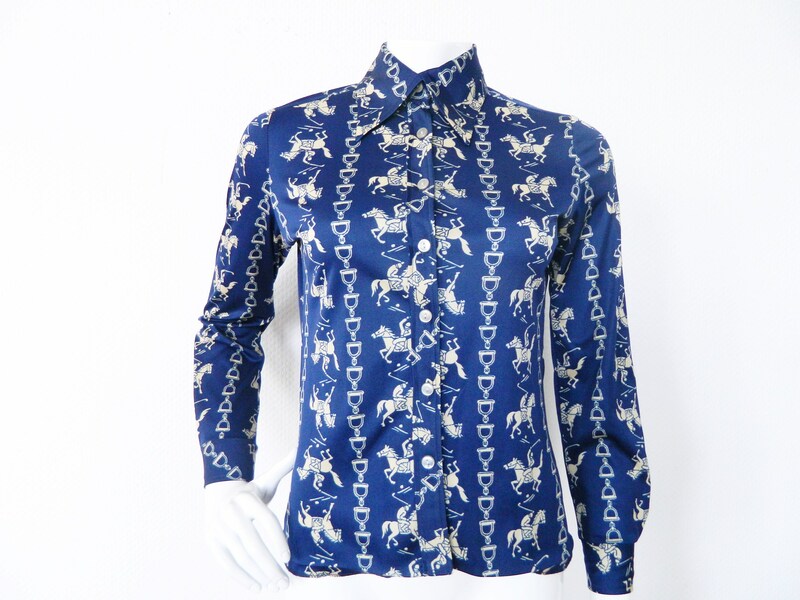 The blouse is cut on figure. Good vintage condition. Length 57 cm, 22 "
Waist 41 cm, 16 "
Sleeve 59 cm, 23 "